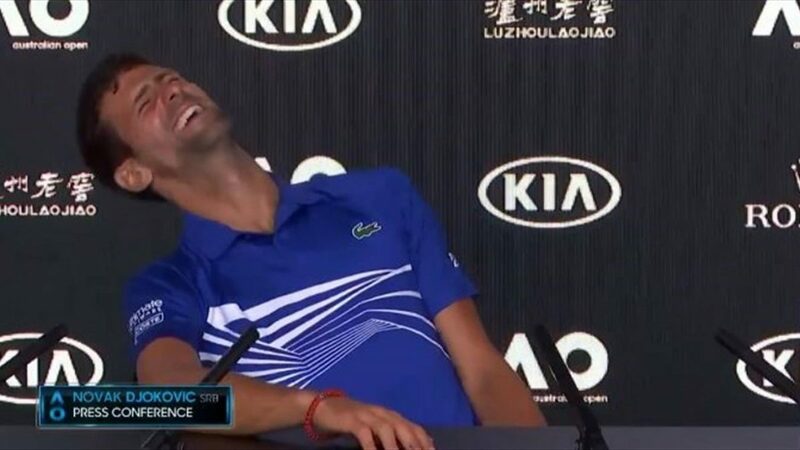 Novak Djokovic sends reporters into hysterics during the post-match press conference of Australian Open final. World #1 beat Rafael Nadal in 3 sets and was in a good mood, when he heard a question from a reporter, that made him leave the press in hysterics. “Not too bad”: Djokovic told Italian reporter: “Cannot complain”. He then apologised with a smile on his face.